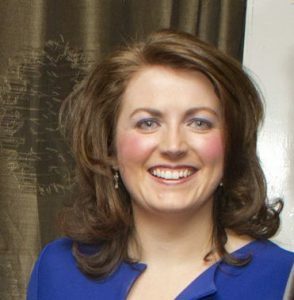 THE daughter of the late Cllr Willie Callaghan looks set to take his seat on Kildare Co Council. Her nomination was approved at an extraordinary meeting of Naas Cumann Fianna Fail held last Wednesday to consider nominations for the Fianna Fail seat on Kildare County Council left vacant due to the untimely death of Cllr Willie Callaghan late last year. Her name will now go forward to the Naas Comhairle Ceanntar Selection Convention – where all paid up members of Fianna Fail in the area will have a vote – which will take place in the near future. Vice chairman Val O’Brien opened the meeting, and invited nominations from the floor. Former councillor Paddy Behan nominated Deborah Callaghan, this nomination being seconded by Sean Kennedy. Deborah then spoke of how her life experience as a young working mother would bring a valuable perspective to the work of the council. No other nominations being received, Val O’Brien then asked for a vote on the nomination of Deborah Callaghan and a unanimous vote in favour was recorded to applause. The floor was then opened to speakers, and Val was first to speak. He spoke warmly of Deborah’s qualities and was also pleased that we would have such a vibrant young team of Fianna Fáil councillors in Naas. Paddy Behan said that he had had the pleasure of working with Deborah’s grandfather and father, and was now looking forward to Deborah working for him. He referred to her work with her father on the Easter Parade, and said he confident that her good business sense would stand her in good stead on the council. Cllr James Lawless expressed his sympathies to Willie’s passing, and spoke of the mentoring role Willie had played in support of James and Rob Power on their first meetings on the council. He congratulated Deborah and looked forward to working with her.